What is the schooling show series? If you have any questions, please feel free to contact the Farm at 860.585.9018. The instructor at TerryAllen Farms LLC is Samantha Borkoski. Samantha has received her Associates Degree in Stable Management/Equine Studies at Southern Virginia College in Buena Vista, VA. Samantha was a member of the Intercollegiate Riding Team for the College. She received the High Point Equitation Rider Award in 1998. 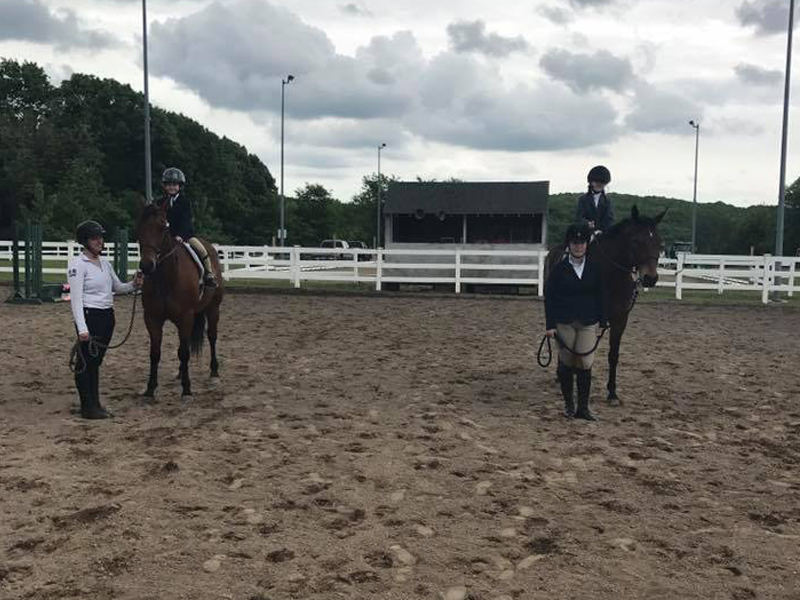 Samantha has been recently showing her horses in local Connecticut, New England and neighboring state horse shows. She has been an instructor at TerryAllen Farms LLC since 1998, and since its inception, has been the Coach of the TerryAllen Farms IEA Team. She currently has one riding student, Riley Babb, who won IEA Nationals in Syracuse, NY this past year. Assisting Samantha with the Riding Programs will be Abby Krudwig and Riley Babb, who are members of the TerryAllen Farms IEA Team. No Dogs – Dogs are not allowed on the property. Entry Fees – There is an entry fee per class. Medal and Challenge classes have an additional fee. Please contact us for pricing. Refunds – Refunds on entry fees will not be made once the horse or exhibitor has entered the show grounds unless a Veterinarian’s or Blacksmith’s certification of lameness, injury or illness is shown. Vaccination – A negative Coggins and Rabies vaccination certificate (within one year of date of show) must be presented with entry form. No Stallions – Stallions are not allowed on the show grounds. Unsound Horses – Horses unsound will be disqualified at the judge’s discretion. Schooling/Warmup – Schooling in the ring is from 8-8:45am. Judging – Hunter classes will be judged on performance and soundness. 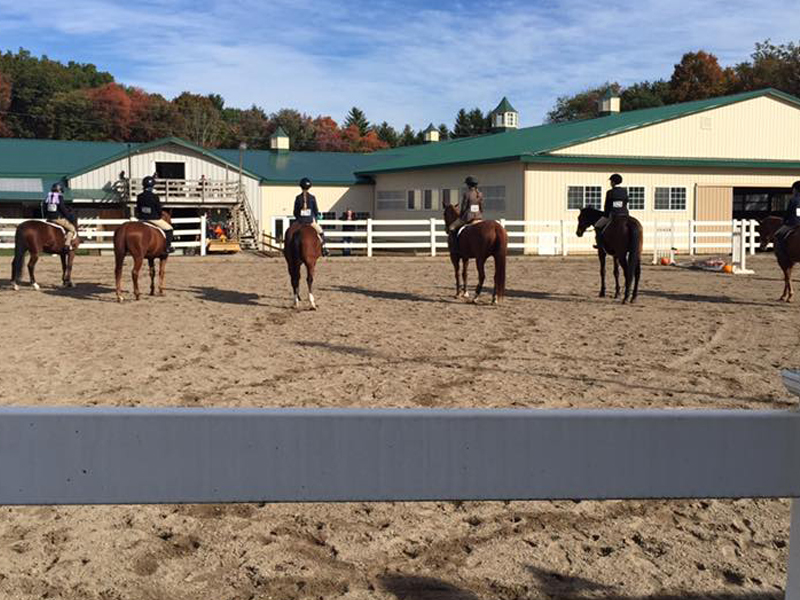 Equitation classes to be judged on seat, hands, guidance and control of horse. Pleasure classes to be shown on a loose rein. Horses should be moving freely in a pleasurable gait. Hunter Under Saddle classes to be shown at a walk, trot and canter both ways of the ring. Light contract with horse’s mouth is required. Horses should be alert, obedient, responsive and move freely. Awards – Champion and Reserve will be awarded in each Division. 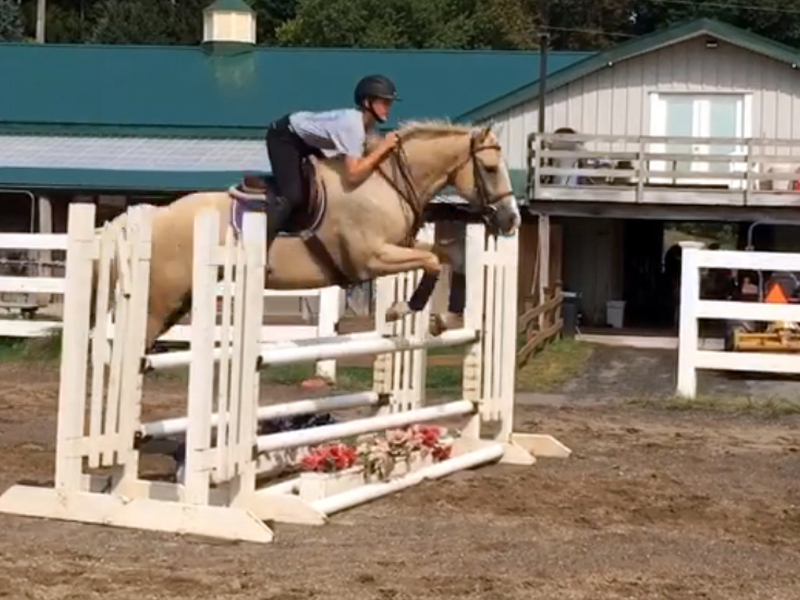 Warm-Up 8:00 – 8:45 A.M.
Open to riders who have not reached their 11th birthday, and have not competed in any classes requiring the rider to canter or jump. Riders in this division are ineligible for any other classes. Open to riders 12 years of age and under who have not competed in any classes that require them to canter. Open to any horse or rider who has not competed in classes in which fences exceeded 18” in height and must be in their first or second year cantering at a show. Open to juniors 14 years of age and under who have not competed in classes in which fences exceeded 18” in height. Fences should be cantered. Open to junior rider in their first or second year of showing. Open to riders 18 and under. Open to any rider who participated in any Walk, Trot, Canter class. Walk-Trot riders are ineligible for this class. This class to be judged on seat, hands, guidance and control of the horse. Six ribbons and a trophy awarded in this class. Open to any rider who participated in any Walk, Trot, Canter class. Walk-Trot riders are ineligible for this class. Two rounds of a 2’6” course, first round over a classic type course, second round over a handy course, open scoring. Open to all horses, ponies and riders. Open to all horses, ponies and riders. Riders may pick their height from 2’ to 2’9”. Open to all horses, ponies and riders. Riders may pick their height from 2’ – 3’. Open to all horses, ponies and riders. All classes are timed. Fences to be set between 2’ and 3’. Two minute time limit to jump as many fences. Fence heights have different point values.